Action Fraud, the UK's national reporting centre for fraud and cyber crime, suggests anyone who has fallen victim to this scam to report it online or call 0300 123 2040. The scam works by using a link which appears almost identical to a supermarket chain's legitimate website, but with one small difference. For example, in the screenshot above, the d in Aldi is actually a ḍ - a Latin character with a small dot underneath the recognisable letter. 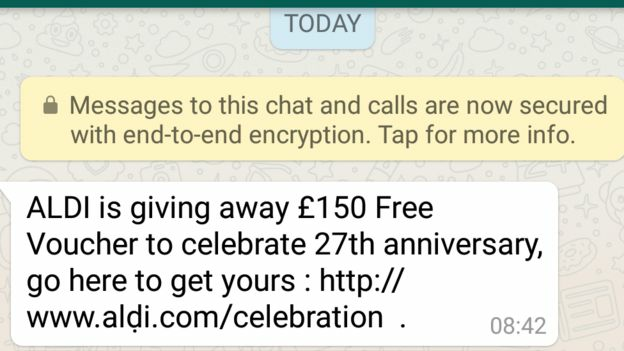 In the tweet below, the d in Asda has been replaced with đ - another character known as a crossed D.
First time I've seen a scam via WhatsApp and with a URL as convincing as this. Look carefully at the d in the link. People who clicked the links contained in the WhatsApp messages are sent to a survey. According to Action Fraud, the survey urges victims to hand over their financial information. If, however, a person tries to visit the homepages for Aldi misspelled with the dotted character it sends them to an error page for a different website entirely. 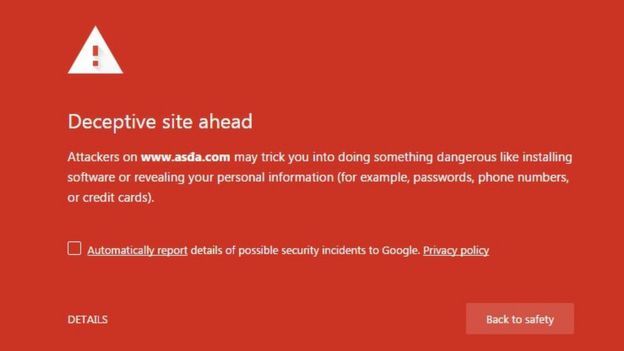 Meanwhile, at time of writing, attempting to access the misspelled Asda site brings up a warning in some browsers. Upon completing the survey, the victim is urged to send the message to 20 other contacts in order to receive a £250 voucher. @asda - guessing this is a scam? 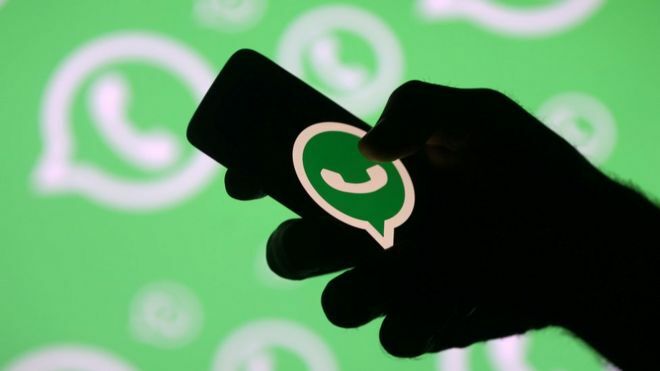 However, it is unclear whether users may have been compromised simply by clicking on the link, as some on social media claimed that the message was shared without their contact's consent. @Tesco I received this WhatsApp. My bro didn't actually send it so pretty sure it's a scam, correct? A spokesperson for Action Fraud told the BBC, "from what we can see, you would have to put certain details in to be in trouble, but it would depend on the device as all the scams are different, and some can download malware on your device."